A man, a lone bushwalker, arrives. Heath is charming, capable, handsome. towards rescue? The closer they become the more her suspicions grow. But to get off Devil Mountain alive, Sarah must engage in this secretive stranger’s dangerous game of intimacy. The narrative is told from Sarah Barnard’s point of view and so the reader shares Sarah’s anxiety when a stranger comes out of the wild weather at the Hangman’s Hut. The weather worsens and they are stranded on Devil Mountain for seven days between Christmas and New Year. There are things about Heath that don’t seem to ring true, and although she and Heath become very intimate, Sarah feels he is not who he says he is. But then how much of her own story does Sarah tell? Mid-story there is a twist that I really didn’t see coming. Excellent psychological suspense. 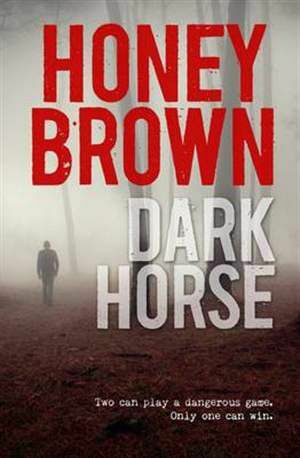 Honey Brown lives in country Victoria with her husband and two children. She is the author of four books: Red Queen, The Good Daughter, After the Darkness and Dark Horse. 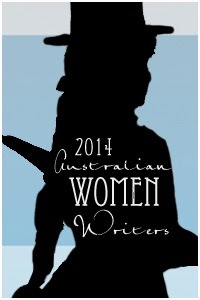 Red Queen was published to critical acclaim in 2009 and won an Aurealis Award, and The Good Daughter was longlisted for the Miles Franklin Literary Award and shortlisted for the Barbara Jefferis Award in 2011. After the Darkness was selected for the Women’s Weekly Great Read and for Get Reading 2012’s 50 Books You Can’t Put Down campaign. Her fifth novel, Through the Cracks, was published in 2014. As if authors don’t have it tough enough these days with slim to non-existent advances and a staggering amount of competition, they can even be poorly served by those who are supposedly on their side. 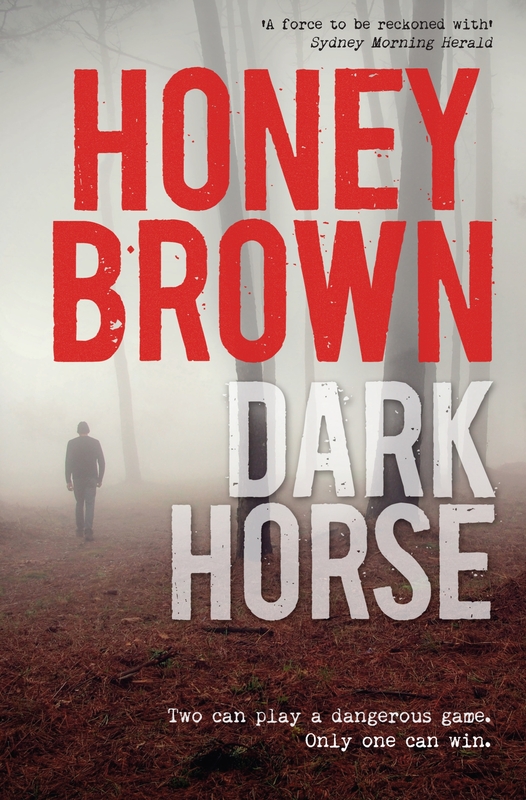 In the case of Honey Brown’s THROUGH THE CRACKS the publishers have, by including significant information not revealed until the last third of the novel, drained much of the suspense for any reader foolish enough to take even a peak at the book’s blurb. So, my first piece of advice is that if you have even a vague notion that you might read this book do not, under any circumstances, look at the back cover. My next piece of advice is to pick yourself up a copy of the book and dive in immediately (perhaps covering it in brown paper lest you accidentally spot the giant spoiler so prominently featured in the blurb). 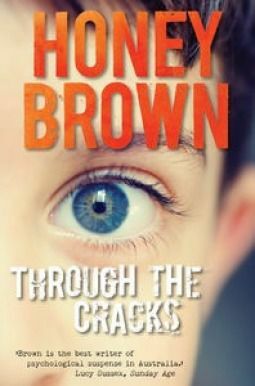 THROUGH THE CRACKS opens with a teenage boy locking his father in one of the rooms of the house in which he has been kept a prisoner for as long as he can remember. After suffering many years of abuse at his father’s hands Adam is finally big enough, strong enough, brave enough to turn the tables. But doing more…leaving the house for example…proves even more difficult than standing up to his father. Help arrives in an unlikely form. Adam dulled his hearing and he backed up, inside himself. He stopped looking through his eyes and looked out from them instead. It wasn’t the same way he’d retreated when being beaten or hurt. He was withdrawing for the opposite reason. He needed to see and feel everything, but without distance it was too much. Standing back, inside himself, he was able to get a better view of things…Money mattered…Meanness didn’t only take place indoors and behind high fences. As fictional characters Adam and the homeless boy who takes him under his wing are unforgettable. I assume it was Brown’s deliberate choice to be vague about concrete aspects of the novel’s setting. To place it in time for example you have to be reasonably conversant with Australia’s TV programming and other minor cultural references over the past 20 years or so and I really only noticed one element which told me the state in which the story is set. But specific locations – the house where Adam lived, the room into which he was fearfully locked, the temporary safe-havens he and his new friend find – are all vividly, and terrifyingly where applicable, brought to life. I had no intention of reading this entire book yesterday evening but after the first chapter or two I was…unwilling if not unable…to put it down. In this era of giant tomes needing a jolly good edit THROUGH THE CRACKS is as long as it needs to be to tell its compelling, confronting and worryingly credible story. Without dwelling on sensationalist details the book conveys some of the myriad ways in which abuse and neglect can manifest themselves and depicts the surprising array of responses human beings can have to such circumstances. And, if you don’t read the blurb, the ending is as satisfying as they come.